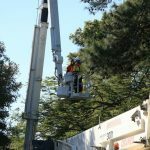 Maintaining trees in the urban environment can be a complex process with so many options available, but one thing is for sure, you should always select an industry approved, qualified and insured contractor to take care of your tree assets. With quality and sustainable management options being a primary focus of our business, Glenn and the team at Brisbane Tree Experts can be trusted to provide you with a professional appraisal and a proposal to ensure your tree maintenance requirements are appropriate, are designed specifically to meet identified and desirable outcomes, and are carried out in accordance with modern arboricultural practices and techniques. 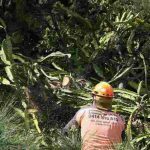 As trusted tree care professionals with over 35 years’ experience, Brisbane Tree Experts can prescribe a wide variety of tree maintenance solutions to resolve common conflicts between the natural environment of the urban tree forest and the surrounding built, and urban environment that we live in. 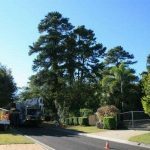 Some of the tree maintenance services provided by Brisbane Tree Experts that may assist with the safe and long-term retention of trees within the urban environment are listed below. Click on the links to learn more about the individual management options that Glenn and the team may prescribe for your tree asset. 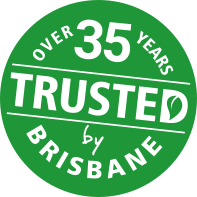 The team at Brisbane Tree Experts are all qualified arborists, and all work carried out by our business is compliant with Australian Standard 4373:2007 “Pruning of Amenity Trees” where applicable. Getting the job done right the first time will save you money in the long-term and will enhance the range of positive attributes and benefits provided by your trees. That’s why we care about your trees living.